at least I know I wasn’t going crazy when I continued to have this problem. Thnx for posting your research!! I started to wonder if it was just me. 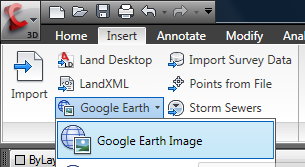 Really, SOMEBODY must know something… Brand X users aren’t complaining that their images dont stitch properly (they have a similar toolbar for Google Earth). After comments however, noone in the know has had anything to say. I figured being civil would have had something for us… If I fnd out something, I’ll post it. Thanks for the comment.